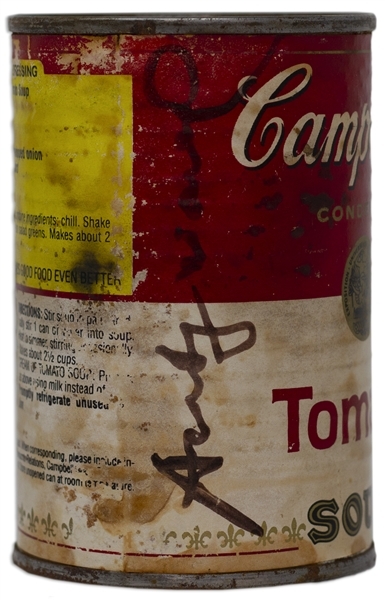 Andy Warhol signed Campbell's soup can, made famous by Warhol with his 1962 artwork ''Campbell's Soup Cans''. The pop artist signs ''Andy Warhol'' in black felt tip on the tomato soup label, as well as ''Andy'' on the metal top of the can. 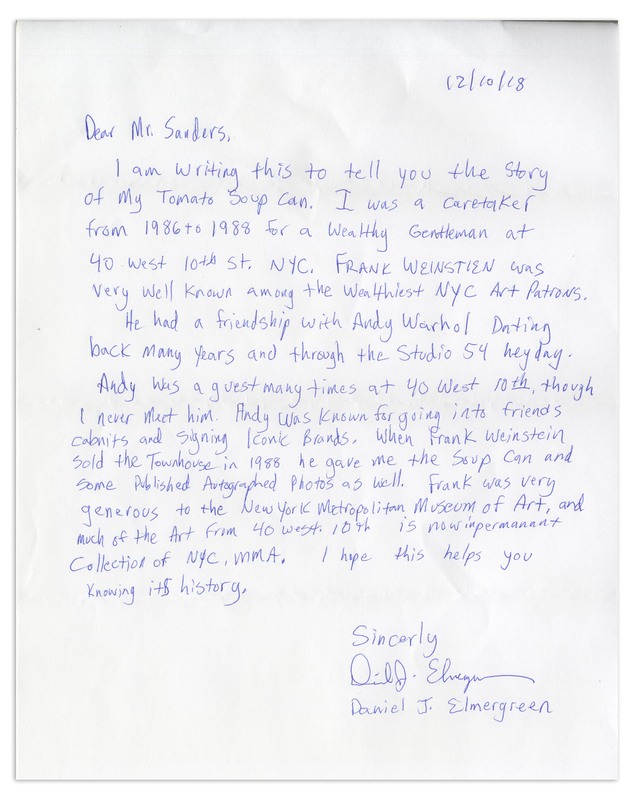 Accompanied by an LOA from Daniel J. Elmergreen, caretaker in the 1980s for art patron Frank Weinstein's home, where this can originates. 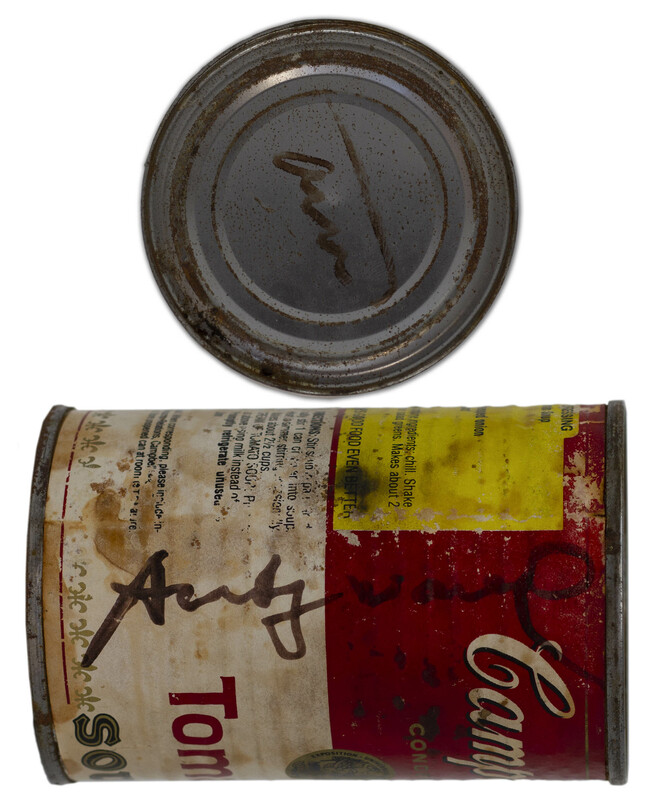 In the LOA, Elmergreen writes that Warhol would often go into the cupboards of his friends' homes to sign ''iconic brands''. 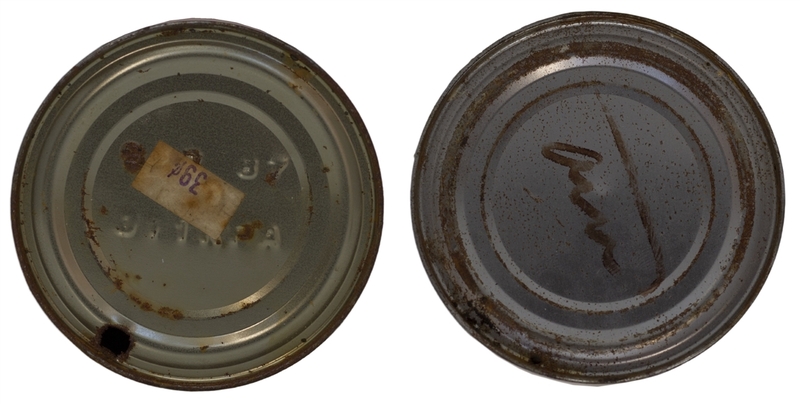 Can measures 4'' tall and 2.625'' in diameter. Bottom lid has hole punctured, so can is empty. 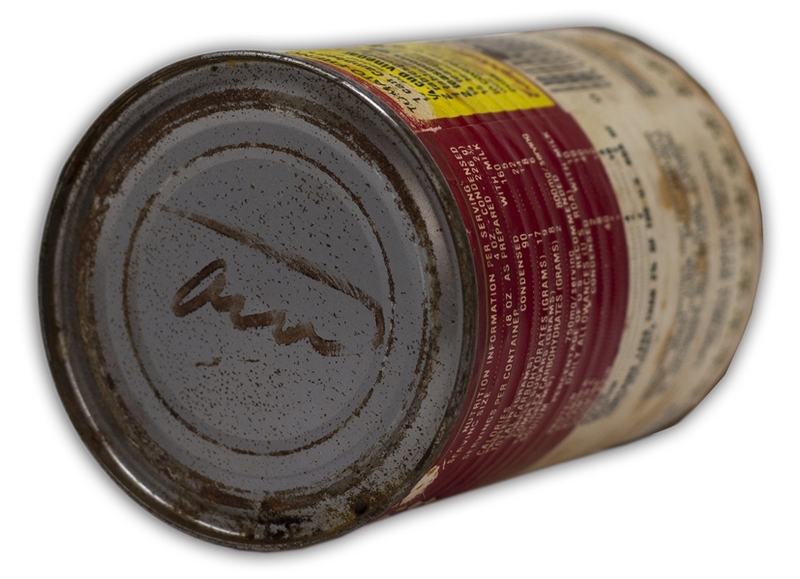 Rusting to metal and some discoloration to label, which is still firmly attached to the can. Overall in very good condition, rare as twice-signed and with provenance attesting to the personal nature of signatures.